These posts about Insurance for Funerals. The need for life insurance for baby boomers also includes insurance that you may need to cover your funeral costs. An old aunt of mine prepaid her funeral including the casket and the service She even set money aside for the payments to the minister and all services that were needed. She did not have an elaborate funeral. But she knew how she wanted it to be organized and so she arranged everything prior to her death. This really made it easy for all of us who were executors of the will and responsible for making funeral arrangements. It also provides peace of mind for those who want to make sure there is not a huge burden for those left behind. This is something to think about, Insurance for Funerals. It is also very difficult for anyone to deal with as well. We all want to continue living, but at some point need to face our own mortality. The following is a list of reasons you may want to have life insurance in place, however this post will deal specifically with insurance for funerals. The risk that my aunt took in doing it the way that she did was related to whether the funeral home would even be in business when she passed away. The funds were put in a trust so that they earned interest until the money was needed and it was protected by the trust that was set up legally. In fact the funeral home she originally dealt with did go out of business and was bought out by a larger firm. Everything was transferred including the obligation and the trust that has been set up. As it turned out there was no problem what so ever. This is not the case for all funeral homes, so if you plan to do it this way, make sure you check them out first and make sure that the money is protected and cannot be stolen. You want it there when it comes time. You can even get a lawyer involved if needed to make sure that all documents that you will sign are proper and protect you, your family and your funds. You may also consider purchasing insurance on your life. The proceeds from the insurance when you pass away can be used for paying for your funeral. Unfortunately there may some delay from the time you die to the time that the money becomes available. 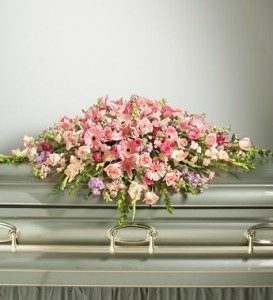 Arrangements must be made with the funeral home to handle the amount owing until the funds become available. Many will give you thirty days to pay. Provided of course that some percentage is paid at the time that the funeral is completed. They will provide their terms and it will be up to your executors to negotiate what every they can to give them the time needed to acquire the funds for payment. There are many approaches that can be taken. Always take someone you trust along with you to assess what ever plan you are considering. Unfortunately there are lots of scams and they don’t care if it is your funeral or not. Make sure you have a contract, check reviews, and confirm that the company is registered with the Better Business Bureau. it is probably a good idea to have insurance for your funeral, but i think that most people just think that the cost will come out of the estate. that is what i am doing and not paying for the insurance.